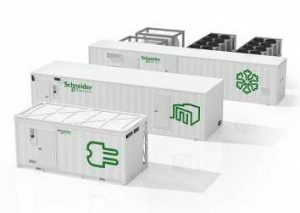 Schneider Electric Prefabricated Data Center Modules are pre-engineered, pre-assembled/integrated, and pretested physical infrastructure systems. If your data center has outgrown your current space or you need additional security, these modules are delivered “to your door” ready to install. This approach eliminates costly one-time engineering, assembly, installation, and integration at the construction site. And these centers can grow with your business by quickly switching internal components. 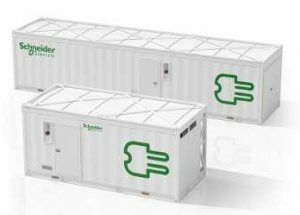 Schneider Electric can design and build tailored data center modules in weeks versus the months it takes to build an addition to your facility with a deployment speed of up to 60 percent faster than a traditional deployment. You’ll also enjoy improved reliability, improved agility, and higher efficiency. And our factory testing uses the latest automation tools and processes to ensure performance parameters from the outset. With such predictability in hand, you can better plan your business and make more informed decisions. Prefabricated Data Center Modules for IT offer integrated, scalable, flexible, on-demand IT infrastructure. With a range of sizes and applications these modules are pre-engineered and prefabricated solutions for your IT infrastructure needs. When data centers need more square footage, more capacity or more security, these modules provide a quick-to-deploy solution. 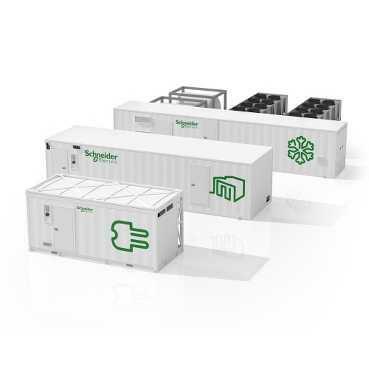 Prefabricated Power Modules by Schneider Electric offer the flexibility of a pre-engineered solution and quick deployment of a prefabricated module. Prefabricated Power modules and skids significantly reduce the complexity and time to deploy critical data center power by removing the time consuming and messy process of construction in your current facility.